Google Shopping is a sure-fire way for retailers to sell more. For some, Shopping Campaigns are the #1 source of traffic and revenue. But, how do you increase the likelihood that your Product Listing Ads show up in Google Search rather than your competitors? The answer is in YOUR DATA FEED. If your data feed is properly optimized you will get more qualified traffic. Your data feed is the foundation on which each successful PPC-campaign is built. So, where should you focus your feed optimization efforts if you are beginning with Google Shopping campaigns? Where do you go when you want to know the best optimization tricks? We’ll tell you where. 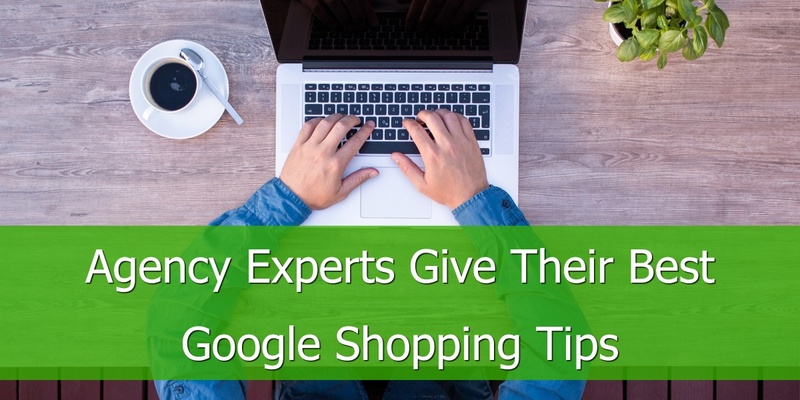 You go to the Google Shopping agency experts. Agency PPC-marketers are managing multiple eCommerce accounts simultaneously in different verticals. This is compared to their in-house peers who focus on a single account. To learn more about the tried-and-true feed optimization tips and tricks, we have asked twelve agency experts to share their number one tip for both beginner and expert Google Shopping users. Focus on optimizing for robust product titles and descriptions to show for as many queries as possible. A jacket can be a rain jacket, a women’s jacket, and a bomber jacket. The way you title & describe products relates to your query volume. Experts should focus on budget and bid strategies within AdWords or their preferred paid search platform. Multiple campaigns with multiple budgets lead to less opportunity to gain meaningful sales. Put actionable business data in your feed to help strategically exceed business goals. Including margin, inventory, and promotions enables retailers to manage profitability more effectively and create a competitive advantage for your brand. For new advertisers budget allocation is very important. Often I see advertisers not being ruthless enough about their budget allocation. They argue “it’s too early to tell” or “we want to sell all our products”, but those arguments miss the point of eCommerce advertising: ROI and profit. When you advertise online as an eCommerce company you should strive to maximize your potential profits with the budget you have available. If you have $3,000 a month and you can spend it all on a single product that gives you the biggest profit, then you should do that. A great way to be more sophisticated about your bid management for Shopping Ads is by separating your searches for brand you carry and your non-brand searches in two different campaigns. Non-Brand Campaign: Priority Medium. Add all your brands as broad negative keywords. Splitting your campaigns in brand and non-brand will allow you to set a higher, more aggressive bid for searches that include the brand, while creating a less aggressive bid for your non-brand search terms that tend to convert less well. 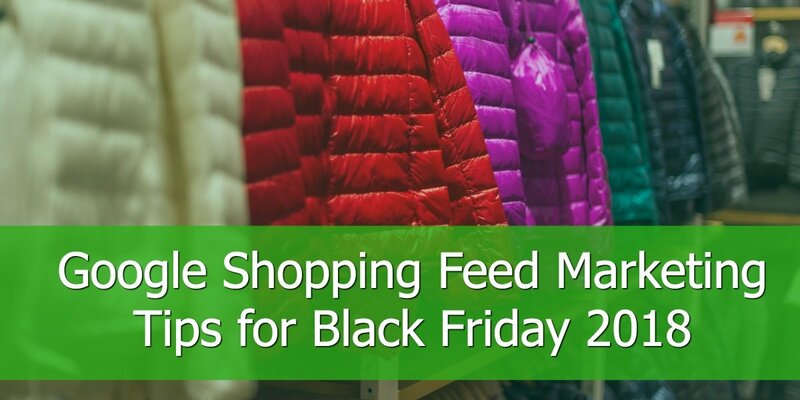 Feed quality is the foundation for successful shopping campaigns. Robust product titles, detailed descriptions, and specific product attributes (e.g. color, style, and type) are essential for optimal campaign performance. Google loves product data, and it has a direct, and large impact on your overall quality score. The more data you can provide to Google, the better foundation you will have for successful shopping campaigns. For agency marketers: Some clients may struggle generating product data. Make sure you emphasize the need for strong data, by explaining the benefits of having a robust product feed, and the disadvantages poor product data can cause. Your clients may not be aware of the negative impact it has, and will likely be more willing to work with you to enhance their product feed. Think even further outside of the box than you already are, and never stop testing. Google Shopping Campaigns are like a science, and every experiment needs a hypothesis and a test. Identify possible solutions and areas for improvement in your campaigns and test your hypothesis. 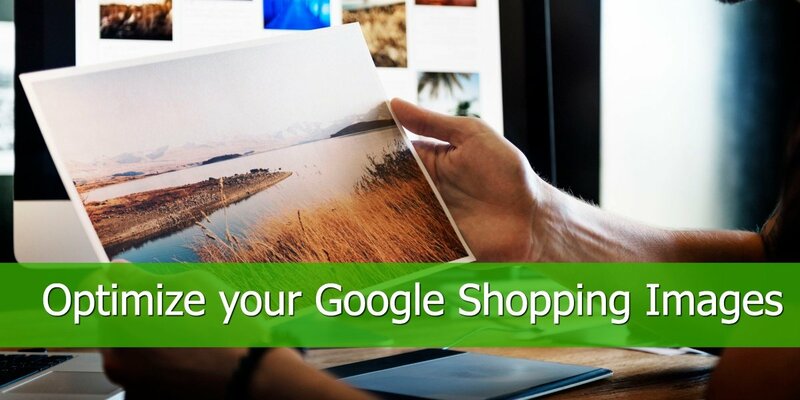 With the recent expansions of Google Shopping capabilities your options are almost endless. Segmentation by product id, RLSA and customer match, and priority levels are just the tip of the iceberg. For agency marketers: Use the many options at your disposal and create a unique strategy for each client. No one client is exactly the same, so make sure you’re mindful of what makes your client, their consumer, and their internal business strategy unique. These are a few of the many factors that can be used to identify the hypothesis for your next test. Having good, complete information in your feed is crucial. 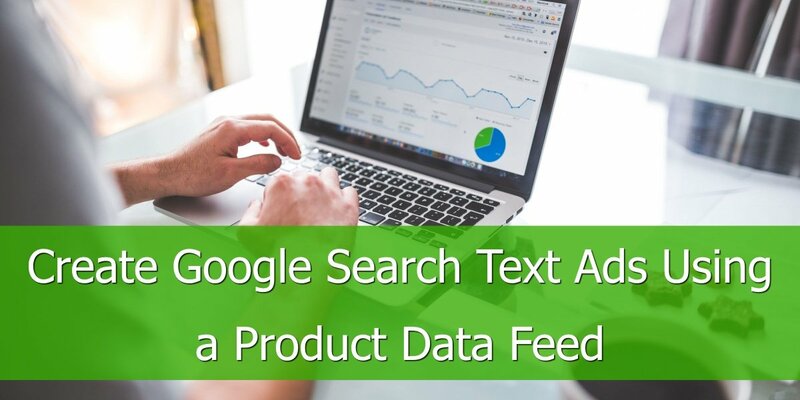 This starts with the product's title and description as these are the primary ways Google matches your products with search queries, unlike search campaigns that uses targeted keywords. Take an SEO approach to writing them and if your eCommerce platform isn't feed friendly, look for a feed management tool which will allow you to edit and optimize that content. Beyond segmenting your products into similar categories to create ad groups within campaigns, leverage campaign priorities and shared budgets to create a situation when you can tier bids to better target (by ROI) general, brand and model searches. Duplicate your campaign twice so that you have 3 identical campaigns to start. Label them General, Brand, Model and set the campaign priority High, Medium & Low respectively and bids in reverse order. Next, add all model and brand terms as negatives to the General campaign and all models to the Brand campaign. Lastly, join the 3 campaigns together using a Shared budget. This will allow for you to bid lowest on generic terms, more on Branded terms, and the most on Model terms. My best tip would be to make sure your data feed is as strong as possible. If you think of shopping like building a house, your data feed is the foundation. If the foundation is off then your house will be unsteady, but if it is strong you will be able to build on top of it. With the expansion of E-commerce and growth of online sales it important to stay on top of new features that are coming out. It will help stay ahead of the pack and if something ends up being the next big thing you and your clients are already there. Segment your campaigns into product groups for a clearer overview of performance, better budget control, and easier optimization. Create separate campaigns for top performing phrases (or keywords) and steer them with negative keywords. Add general keywords as negatives to the top campaigns and the exact converting phrases as negatives to your general campaigns. Bid on what's working for you. Monitor performance, repeat frequently and be a happier shopping advertiser! Promote high-value products. There are two opportunities that I frequently find during Shopping campaign audits. The first is that the top-selling products on the site don’t match the top-selling products through Shopping ads. Differences are expected for numerous reasons, however, there should be some level of alignment. Typically, the issue is that bids are too low or that the product group breakout isn’t granular enough to allow a unique bid to promote the top products. The second opportunity that I find is a lack of correlation between bids and price changes. When a product (or group of products) experiences a price drop there is often a decrease in CPCs. This is because price acts similar to Quality Score, which means that clicks will be cheaper for the same position. If you don’t have 100% impression share then this is a good opportunity to increase bids, especially considering that the promotional pricing will lead to a higher conversion rate. Increase traffic on high-value search terms in Google Shopping. This is achieved with a multi-campaign strategy that exploits a relationship between priority settings and negative keywords. Begin by triplicating a Google Shopping campaign and assigning a unique priority setting to each (high, medium, and low). Change the max CPCs so that they are highest in the low priority campaign, and vice versa. Lastly, you will add a different set of negative keywords to each campaign. There are three buckets of negative keywords: high-performance search terms, medium-performance search terms, and bad search terms that you never want your shopping ads to show on. Add all negative keyword buckets to the high priority campaign, add the high-performance and bad search terms to the medium priority campaign, and add only the bad search terms to the low priority campaign. Let’s look at an example to understand how this strategy works. Say that you manage Shopping Ads for Nikon and have implemented this structure (each campaign targets all products). The search term [buy nikon camera] is your top performing query. When searched, Google will first look at your high priority Shopping campaign to determine if an ad is eligible to show. Because [buy Nikon camera] is a negative keyword, Google will look at your medium priority campaign. It will find the term as a negative keyword there too so it will look at the low priority campaign last. Because the term isn’t a negative in that campaign it will use that bid – which is significantly and intentionally higher than the other campaigns. Make sure that your data feed automatically updates daily in Google Merchant Center. Google wants the freshest data possible, so the more frequently you’re updating your data feed, the happier the Google robots are. More importantly, daily updates mean that you’re less likely to have products disapproved because the data on your website doesn’t match the data in your feed. Fresh, accurate data means more successful campaigns. A significant percentage of people who click product ads end up purchasing a different product from the website (as high as 66%, according to this study). Take advantage of that by optimizing low-price products as “loss leaders”, knowing that many of the people clicking those ads will likely purchase other, higher-price products on your site. 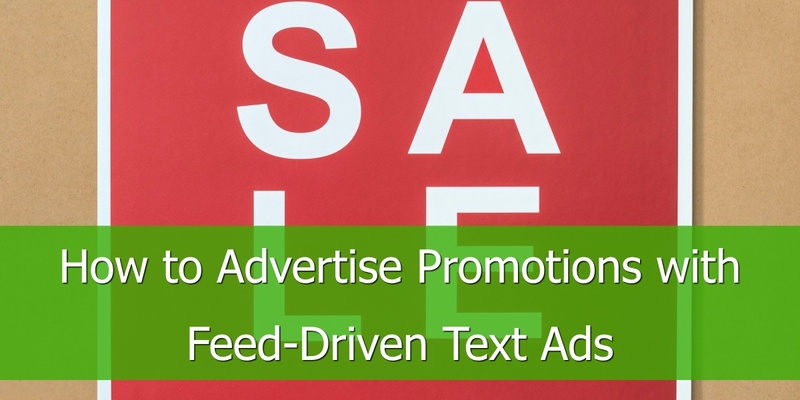 Do this by crafting the titles of your low-price products to match to the highest-volume search terms triggering your product ads, and then strategically exclude higher-cost products from your campaigns. An underestimated tip for beginners is to add negative keywords by regularly reviewing your search term reports for Google Shopping. Just as with search campaigns, you can save a lot of money and lower your CPA by using negative keywords in Google Shopping campaigns. For example, if you sell high-end furniture on your site, it may be a good idea to add the word "cheap" as a negative keyword on the campaign level if your data is conclusive and shows there are no conversions for search queries containing the word “cheap”. Google allows you to submit five custom labels per product feed and this is a feature that can produce significant results if you have the technical prerequisites. Custom labels allow you to create custom made categories such as seasonal products, offers, bestsellers or products with high margins in your product feed. If you use custom labels to create separate campaigns for products with high margins for example, you can allocate more budget to your most profitable products. Split out your products/product groups into themed ad groups with no more than 200 products in each. You can use your brand, product type or custom label information to organize products in each of your new ad groups. To create a new ad group, simply start with all products and split out products/product groups you want to target. Once you are happy with your selection, exclude everything else at the all product level. Having a maximum of 200 products in each ad group will help you manage bids more efficiently, maintain tighter control over your advertising budget and report on the performance of each product theme separately. Make use of all campaign priority levels available in AdWords and experiment with settings to boost your strategy. Priority levels allow PPC managers to be more creative with their bidding techniques by channeling different types of traffic into designated campaigns. For instance, you can use high priority setting to bid higher for your bestsellers or to show users specific products for your most valuable search queries. I would also always recommend having a low priority catch all campaign with all products and low bids to make sure you are not missing out on any new products or categories added to the product catalogue. What is your average conversion cost? If a conversion cost €10, then make sure to remove products, where you don´t make that amount of money, so if you know, you don´t make €10 on product below €100, make sure these products are removed. It is actually a quite simple tip, but it is often overlooked because "Price" is referred to "G:Price" as a standard, but if you have special offers, the price won´t change, if it is a "G:sale_price". Use this formula: "Price" "rename" "G:Sale_Price" "if" "G:Sale_Price" "is not blank" "or" "G:Price" "for other products". Profit. When we have reliable historical eCommerce data from Analytics then it makes sense to segment your campaigns into product groups that represent profit figures. You don’t want to bid the same for a $20 or $40 product if you knew you drive a 25% margin on both. This information should probably come from the merchant itself. Price / Price Range. Sale price of products is also a good benchmark to set bids against, if you have a product that sells for $5.00 and your bids are equal to that then unless this product sells on the first click (or in bulk) then you must consider a lower / profitable bid. This item can also be used to exclude products, for bigger stores that carry a great variety of products, then is a good idea to exclude those that sell for little and might perform quite well in other channels. I.E: A retailer of miniature car models that also sells scotch tape on his site, while scotch tape is part of his store it sells for quite a lesser amount and is not the main product. RLSA For Shopping: Implementing this feature to your shopping campaign is a quick win as there is very little work into setting this up. Overlaying an audience to existing ad groups is great because it enables your ability to modify your bids depending on where the audience came from and how much they are worth for you, so you can simply bid higher for a user that is part of an audience closer to the buying stage. *Be careful when adding the audiences, remember to use Bid Only, if you use Target and Bid then you are simply excluding new users from being exposed to your ads and will target only previous visitors, think what that will do to an existing campaign with great conversion rates and a healthy amount of traffic. Even though the main goal of a Shopping Ads is to drive sales, if you’re optimizing for ROI you also have to watch your CTR (Click-Through Rate). The reason for this is that if you improve your CTR you’ll end up paying less per click. This actually goes back to Google’s Ad Rank formula which accounts for Quality Score. While there is no Quality Score metric for products in Google Ads, you can bet that it’s part of their algorithm. Ensure that you have a compelling title that includes the most popular terms that users are searching for. Experiment with different product images - an image that stands out from the pack could get more eyeballs and more clicks. Make sure that your product has competitive pricing. A typical issue that a lot of seasoned advertisers run into is data scarcity. Simply put, you don’t have enough conversion data on an individual product to be able to make bidding decisions with confidence. This is especially true if you have thousands of products in your campaigns. One way to work around this is to define the main conversion action in Google Ads further down in the buying funnel. So instead of using Transactions in the conversion column, you can use micro-conversion events such as ‘initiate checkout’ or ‘add to cart’. This will still give you a good indicator of traffic quality and at the same time, it will increase the conversion numbers. This tactic should be accompanied by a new bidding strategy that will be focused on a target CPA for the new conversion action. For advertisers with a large inventory. From time to time, take a look at your ‘dormant products’. These are items that you have in your feed and are in stock, but they didn’t get any clicks in the past 30 days. You can gradually increase bids on these items until they start getting at least a few clicks. While you're doing this, make sure to keep an eye on rising costs as well - your Google Ads budget will need to support this increase. Summer time is the time to start testing and finding what works best for your vertical and get a leg up on your competition. If you are looking to ramp-up the quality of your product feed, then you'll probably find our eBook The Complete Guide to Data Feed Optimization useful. Download it and learn how to improve the quality of your feed and your campaigns.